The idea of going to O’Hare airport in my red negligee to protest the TSA’s overzealous searches sounded clever two days ago, after four Mojitos, and surrounded by my sorority sisters. “If the TSA want to strip search us on our way to Spring Break, we’ll save them the trouble!” Bree had declared to the throng in our common room. But standing alone in front of the swooshing doors, I only felt alone. The cab ride had been awkward to say the least. 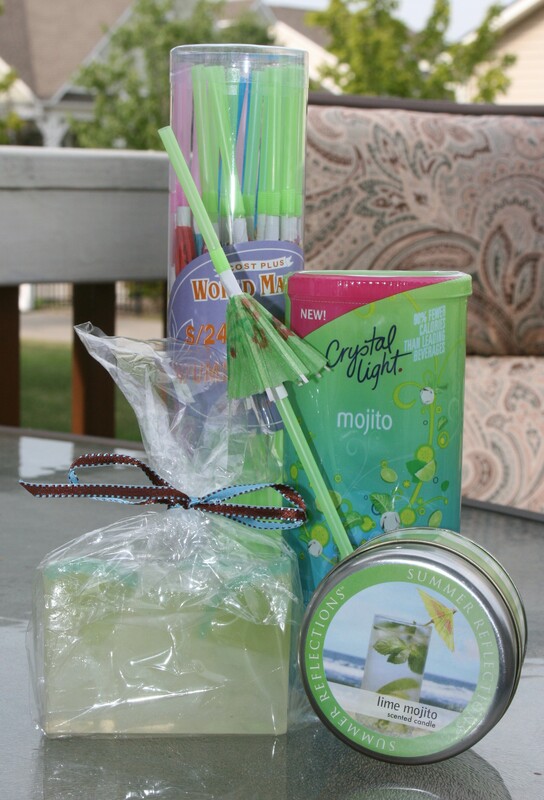 This week’s giveaway is a selection of Mojito items, including handmade soap, mojito scented candle, my favorite calorie-free Mojito mix, and umbrella straws, and a signed copy of Moving Violations. I grow mint in my kitchen, using a hydroponic garden so this is a drink I enjoy on a regular basis. But I am proud to say I have never been seen in public in my lingerie. This story was a contest entry. I loved the idea of joining the crowd, only to have the crowd abandon you. Some very beautiful women treat their beauty as a super power or a tool. And I liked the idea of her arrogance being used in a way she never intended. In order to win, I’m asking you to like my Author page on share this contest on GoodReads. Or as always, you may complete any of the previous week tasks (Tweeting, becoming a fan on Facebook, liking my author page on Amazon, etc.) to enter. You must leave a comment on my blog or Like this Facebook post to be entered. The winner will be announced at 9 am on July 26, 2013. Thanks for playing! Congrats to SHARON TIMMONS NEUSTADT for winning the Mojito Mix Madness giveaway, including a copy of Moving Violations!